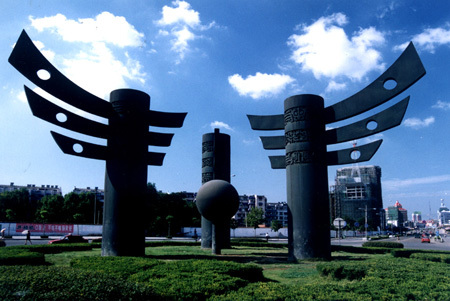 Tongling City along the southern bank of the Changjiang River has been a major copper producer since the Western Han Dynasty. It has dozens of ruins for copper mining, such as Mt. Muyu, Jiangmuchong, and Jinniu Cave. Over the years, more than 100 bronze wares have been unearthed from the city. Among its many scenic spots, the best known is Mt. Wusong.